As increasing numbers of terrorist groups manage to acquire anti-aircraft technology, the need and demand for aircraft defence is becoming vitally important. Companies from the U.S., Britain, Israel and Russia are developing their own systems to protect airplanes from attack. Having easy access to military depots in Libya, Syria, Iraq and Yemen over the past few years, terrorist organizations have got hold of lethal weapons capable of striking civilian and other aircraft. These can be used by them with impunity at their choosing. There are more than one million man-portable air-defence systems (MANPADS) in the world. It is difficult to estimate exactly how many are now in the hands of terrorists. The most cases of MANPADs being traded on the black market happened recently during the course of the overthrow of the (Muammar) Gaddafi regime in Libya and the advance of Islamic State in Iraq and Syria (ISIS). According to the U.S. State Department, between 1970 and 2006, more than 40 civilian airplanes were brought down with MANPADS missiles, causing more than 1,000 deaths (including victims on the ground). With every MANPADS transaction on the market the threat of them appearing near airports in countries far from military activity increases significantly. To prevent such events, technology companies have begun adapting existing combat systems, placing them on civilian planes where and when deemed necessary. These systems in the United States have become expensive, both for the buyer and the user. As a result, only 12 of the ‘Guardian’ systems were produced and the project was subsequently deemed ineffective. An Israeli company, Elbit Systems, has created the Commercial Multi-Spectral Infrared Countermeasures System, or C-MUSIC, which has been made accessible to airlines. To reduce user costs the system does not have to be kept on the airplanes permanently but only when there is an actual threat. In Russia this work is based on military developments, under the code name ‘President-S’, produced by the Radio-electronic Technologies Concern (KRET). Russian engineers chose to focus on the system's universality, making it a sort of constructor with many options. "If necessary, systems that block the aiming of missiles with radar, laser and infrared GOSs can be placed on the planes," said Vladimir Mikheyev, advisor to KRET's Deputy General Director "This is a collection of apparatuses that can be set up together or separately. They scan the space around the plane simultaneously for radar, laser, infrared, ultraviolet and television signals and if they are detected, the system automatically creates disturbances, forcing the launched missile to deviate from the target." Such universality means that ‘President-S’ can prevent the plane from being hit not only with a MANPADS missile, which is equipped with an infrared homing head, but also with an air-to-air missile or even a defence missile, which has separate and combined guidance systems. Such a system could have potentially saved the Russian Tu-154 airliner mistakenly destroyed by a Ukrainian defence missile in 2001, or Malaysian Airlines Flight MH17, which was shot down over eastern Ukraine in July 2014 by a Russian-made BUK ground-to-air missile, in circumstances that are still not clear. "The apparatuses constituting the system can be set up in external attachment points or inside the fuselage (excluding the laser station for optical-electronic blocking) on any type of plane or helicopter, both Russian and foreign," said Mikheyev. The systems have been tested for effectiveness in combat conditions in which MANPADS missiles were fired at both model planes and real helicopters equipped with the President-S onboard defence system. During these tests, the disturbances created by the station were able to change the missile's intended trajectory and not one of them struck the target. According to KRET representatives, all new military and special aviation technology models are equipped with these systems. Mass production from government orders and experience in using the systems have helped reduce their production and maintenance costs. 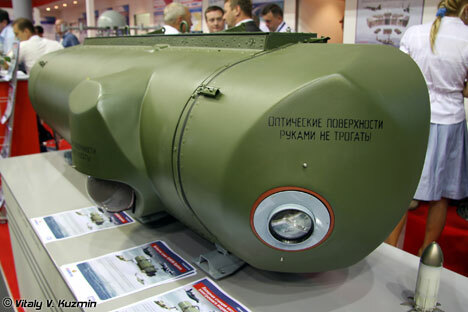 According to Mikheyev, this will help equip all Russian planes flying in dangerous zones with the systems.